KINECT Sports & Remedial Massage is the most trusted sports massage in Booragoon that offers high-quality sports massage, remedial massage, myocardial cupping and much more. 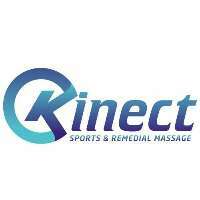 Whether you're a professional or competitive athlete, weekend warrior, gym lover of any level, or you just like to look after your body, Kinect Massage is your first choice when it comes to Sports and Remedial Massage. Our goal is for you to leave each massage feeling better than you did before you came in as have the many clients we have helped so far! During a session, we will use a combination of remedial massage techniques that best suite your complaints and muscular imbalances for best results. • Sports & remedial massage for Back Pain, Shoulder pain, Foot pain, Knee pain, Hip pain, Neck pain. If you are looking for the best sports massage, remedial massage and dry needling in Booragoon, Melville, Fremantle, South Perth, Willetton, Attadale, Bull Creek, Leeming and Applecross, don't hesitate to call KINECT Sports & Remedial Massage Booragon today!